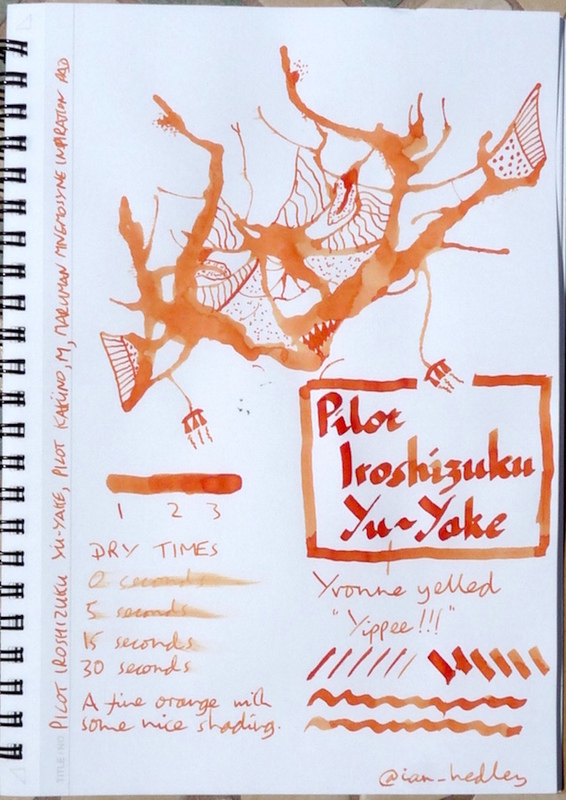 Pilot Iroshizuku Yu-Yake Ink Review – Pens! Paper! Pencils! 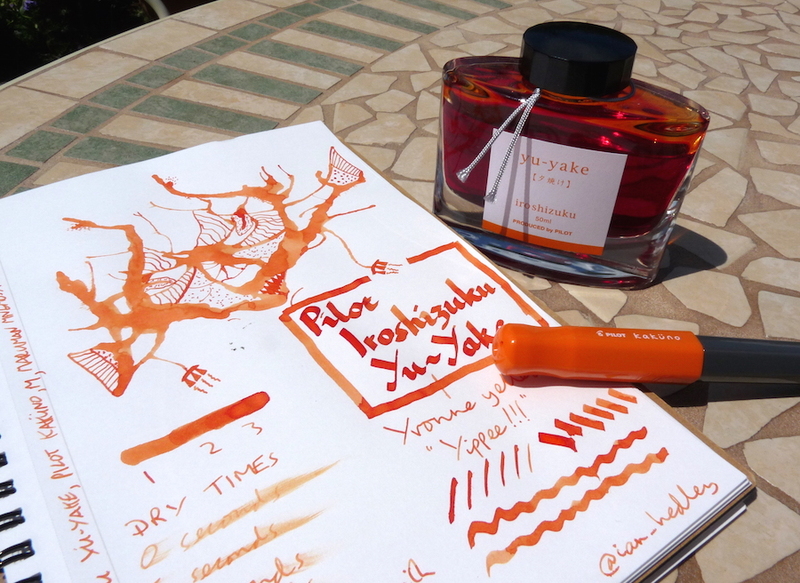 Pilot Iroshizuku Yu-Yake (Sunset) is a lovely orange ink with decent dry times, a good flow and some shading. Not as bright and cheery as Sailor Jentle Apricot but a nice happy colour nevertheless. It definitely needs a good wide nib to get the best out of it. You can find some more reviews of Pilot Iroshizuku Yu-Yake on Pennaquod.